When it comes to an economical fulfillment, packing has to be the most important factors that will impact the shipping rates to a large extent. So, in this edition, we are presenting a packing guide for ELEX EasyPost Shipping Method Plugin. You can use these settings and pieces of information to pack your products efficiently. 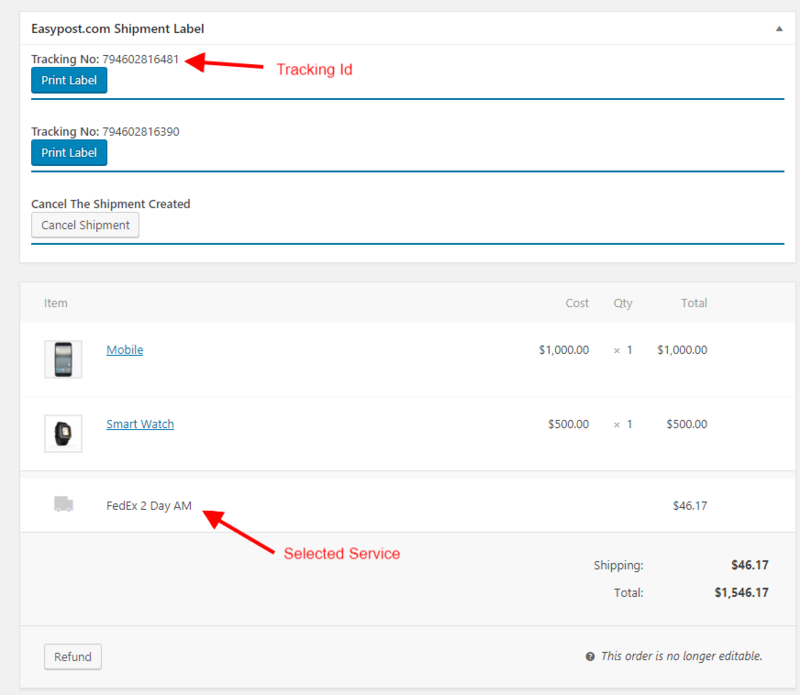 EasyPost Shipping Method Plugin integrates three of the most used shipping services in the US. Two of them are the most used shipping services in the world. These are USPS, FedEx, and UPS. We have seen how to integrate your already existing FedEx and UPS accounts to your EasyPost account. You account type and the tailored pricing remains the same even after you integrate them to EasyPost. In case you use FedEx or UPS services, shipping charges are deducted automatically from your respective FedEx and UPS accounts. And finally, you get a commercial pricing form USPS just because you use EasyPost API integration. EasyPost creates a USPS ‘sub-account’ for you as soon as you register for EasyPost and you can access the commercial USPS postage rates even if you ship fewest of shipments with USPS. The plugin offers two and the common packing option between the three shipping services. By common I mean, these two packing options rarely create a conflict between the three services. When selected, any of these packing options will fetch shipping rate for all the three shipping services. This packing option is set as the default packing option unless changed. If you choose this packing option, all the shipping services will pack the item in the cart in individual boxes. And then calculate shipping rates for each box used. This type of packing is most useful when items fit in the boxes completely and the items which need separate packing. But this packing option can be disastrous if you can ship these products in a box based on weight and dimension. For instance, the cart has 20 packs of candles, which you can put in a larger box, but the individual packing will pack these 20 candle packs into 20 packages and calculate shipping cost. So it is clear that a box will be much efficient in packing small items which don’t require shipping in separate packages. This packing option let you assign boxes of any dimension that you use. The shipping service providers show rates for the boxes you assign with respect to the weight of the box and the dimension of the box you assign. You can create as many boxes as you want can be very specific to the sizes of the items you ship. Now, this packing option has its use where you don’t need separate packing of items. Plus if you feel that that the cart has a product that requires a separate box, it better you define a box that fits the item correctly. So that the plugin selects that box for that particular item. For instance, if you have a lamp in your store with dimensions 10 inches x 7 inches x 6 inches, you can define a box with a slightly bigger dimension for that lamp. One more option that ensures that the lamp gets this box is when you put the maximum weight the box can have. So one the weight of the lamp and weight assigned for the box matches, the lamp is packed in that box. If you are shipping letters, don’t forget to tick the box to be taken as a letter. As shipping rates for normal mail are lesser, checking letterboxes will save a lot of extra shipping charges. The plugin is so responsive that you can use a different set of boxes based each time you create a shipment. Once you assign your first box in the packing tab, the boxes also become available in the general tab. You can add or remove the next boxes in the general tab itself. The image below shows the tables assigned in the packing tab. Visit the Setup page for complete options in the plugin. The cart page and the checkout page shows the rates according to the packing option you select. If you have connected your FedEx and UPS accounts with EasyPost, your customers will see shipping rates form each of USPS, FedEx, and UPS. Again the rates are based on the packing option you select. If you don’t assign a custom box, shipping rates are calculated based on the weight and dimension of the product in the cart. In this case, the three services show rates according to default boxes available with each service. You can choose other shipping charges like USPS Flat rate boxes, normal flat rate box, local pickup or free shipping to appear along with USPS, FedEx, and UPS shipping rates. A sample cart page with the various shipping rates appears like this. The rates are shown based on all possible outcomes with the plugin. You can always choose the most suitable shipping options to appear in the rates and services tab. Sender Country: The latest version of the plugin has the option to put the sender location in the settings. So if the sender country is set to England, the product will be sent from England. 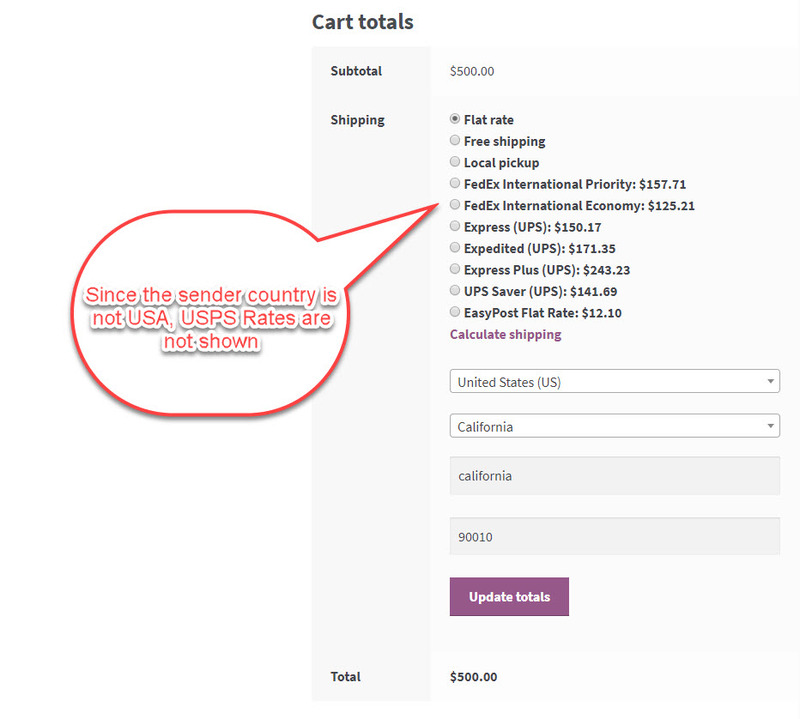 The sender country can be different from the WooCommerce store location. After a customer selects one of the shipping options you offer and completes payment for the purchase, you can move to the order page. As you are aware you can click on the order number in the format ‘#XXXX’ to open the respective order details. Find Easypost.com shipment label block on the overview page. You can drag and drop this block and place it anywhere on the page. In this block, you get to edit all options related to the packing process. As the order is still under processing. Let’s see the options that you can change from this block. First is the ‘Preferred Service‘. The drop down here shows all the services form the three service providers. So if you feel like changing the default service, you can do it here. Next is the ‘Package‘. In this, you have options to add more boxes if you find out that the number of boxes the plugins selects is less than you actually require. You can add more boxes by clicking on the ‘Add Package‘ button. Finally, you have the option to edit the existing dimension of the selected boxes. All these functions in the overview page provide you all chances to carry out the most accurate packing. This is because if select the desired shipping service, which helps you spend the least and the fastest service, or add or delete already selected boxes, making packing more accurate. you can go for creating the shipment. As shipments are created, you get the tracking Ids which are sent to the customers automatically. It also contains the carrier and the service selected. Once you create the shipment the order is no longer editable and shipping charges will be deducted from your account. This leads you to the printing of the label. The labels printed contains the weight and dimension of the box. There a lot of other features of the plugin presented in the form of its Documentation. As you can notice that the ELEX EasyPost Shipping Method Plugin for WooCommerce allows you to create custom boxes as you may require according to your products. And if you don’t create custom boxes, the shipping rates are based on the volumetric weight of the products in the cart. All possible rates from the three service providers appear on the cart page based on it. Volumetric weight may give you the shipping rates but, such calculations may not always be perfect. So it is recommended to go for custom boxes or enable USPS Flat Rate boxes. And once you set up the packing options, the plugin provides you the option to correct any discrepancy in the package creation. 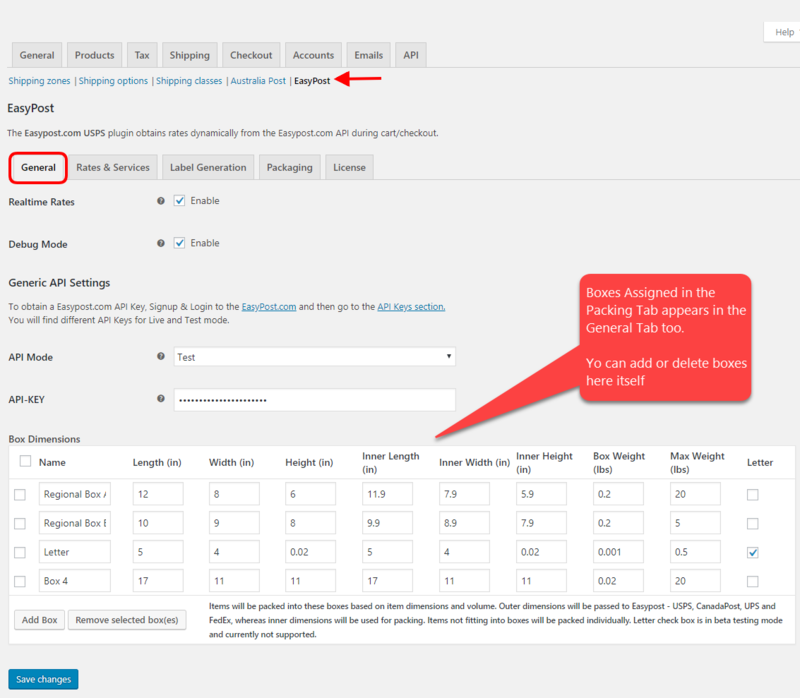 You can select a new service, add or delete boxes and change box dimensions in the order overview page. And now when are be very sure of correct packing, you can go for shipment creation. Once created the shipment can’t be edited. As you can integrate USPS, FedEx, and UPS through one API, you can switch to a one-point solution with ELEX EasyPost Shipping Method. Contact our Online Support for any of your pre-sales queries and technical help. Or leave a comment regarding packing with EasyPost Shipping Method.